—Before taking any action, wait at least 4-6 hours after frost to allow the full extent of frost damage to become evident. The crop may look undamaged that morning but by the afternoon wilting, desiccation and pod splitting may begin. This crop may need to be swathed to preserve yield, but keep in mind that high green counts are likely. —Light to moderate frost damage may take longer to show up. If no damage is evident after the first day and you decide to leave the crop, scout again after 2 to 3 days to reassess. Heavy (“Sharp!”)frost… below -2°C: Assess the damage in early afternoon. Check pods for a white, wilted appearance. Pod shatter and pod drop could begin within a day, especially with warm sunny afternoons. If pods are desiccating rapidly, swathing right away will preserve as much yield as possible. Light (“Gentle”) frost… above -2°C: Hold off swathing. Check in the afternoon for wilting to make sure frost damage was not heavier than expected. 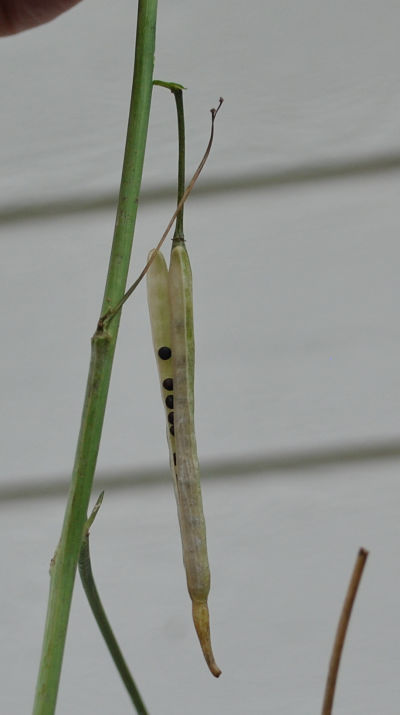 You may see some speckling on the stem and pods, but this is of little concern as long as the plant is still alive. If no wilting, leave the crop standing and check daily. Frost in the forecast: Swath now or leave it standing? Click here for more information on assessing crops following fall frost. 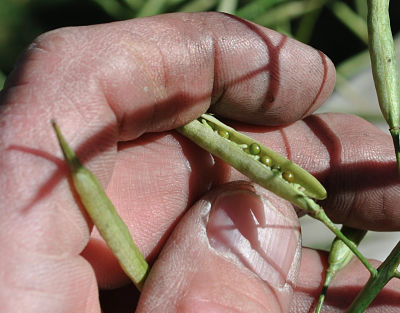 Pods can start to pop within a day after a heavy frost. Within a day after the frost, pedicels — the small stems attaching pods to stems — are drying out and snapping. 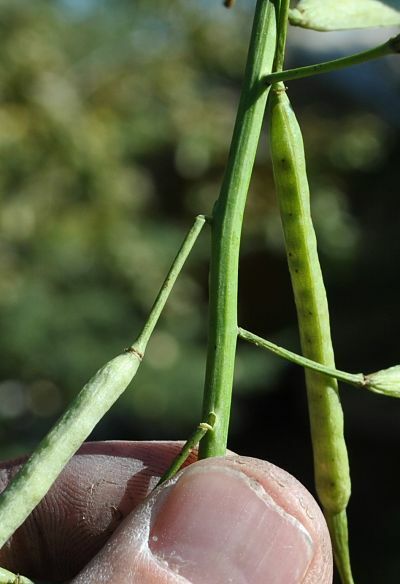 These pods will start dropping, which is another reason to swath right away.